Well, I was right about a couple of up days. I was doing OK on the down bias until Friday. My target of 1745 wasn't off by much and market did not spend a lot of time below that level. Not a perfect call of the market, but not a bad call either. Appears a short cycle (12 days) provided the bounce off the bottom. That cycle should have spent its upside energy by Wednesday. Then we will have the Kitchin, 1/3 Kitchin cycle, Wall cycle, and 1/4 wall cycle will be down. 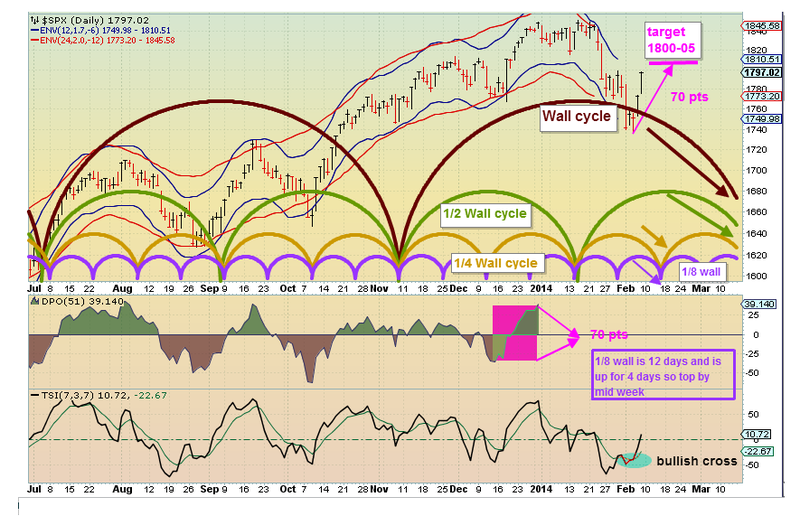 by mid week the 1/8 Wall (12 day) cycle will be down. Are you kidding? You were a mere 8pts above the floor, that is negligible noise. It was a great call. considering the turn in the weekly charts this Thur/Friday, I've ditched the original target zone of 1710/1690. Bears surely had their best chance this week..with BAD jobs data, and they still couldn't manage to hit the 200 day MA of sp'1710. We're ramped 60pts in just over 2 trading days. So long as Yellen doesn't say anything stupid next week, the market will surely keep climbing? short cycle definitely looking like upside spent (Monday). Upside exceeded expectations by a lot. Looks like another leg up for the Bull as it broke S&P 1810 resistance. did the short cycle (12 days) top today (Wed)? Paul, since you seem to KNOW what the market will do "share it". Or, maybe you don't and get off trying o ridicule others because you don't have a clue. we are on out way to 1965-1985.
there might be pullback on the way, but the trend is up! (until mid july 2014 we will see values above 1960's) ! Paul - Really? I seem to recall DJIA 1000+ and back under 600 a couple of times in the 70s. So what are you saying? Another 15 years (1965-80) where we go nowhere, just wait for big pullbacks and buy then sell 100% gains? Over that 20 years there was something for everybody (bulls and bears) so not sure how 1965-1985 offers much guidance. 1965 - 1985 points in spx 500 until July 2014.
sorry for not mentioning it. Still unclear as to what you are trying to say. Points up or down? And how does a 4-5 month prediction aid the swing trader who is trading ever few weeks (usually a few days up to 1-2 months). 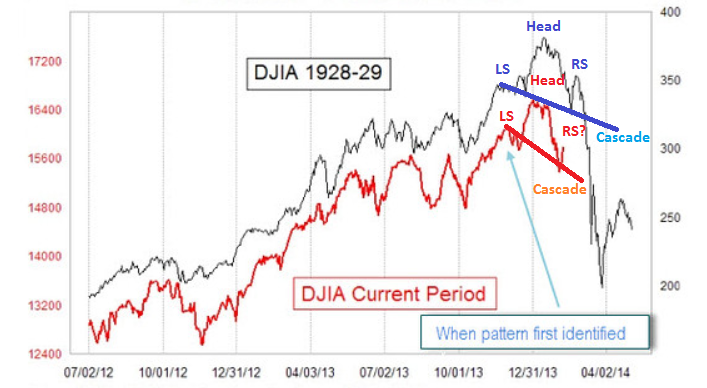 I only offer comment on longer term because I was requested to offer this context (not for swing trading).